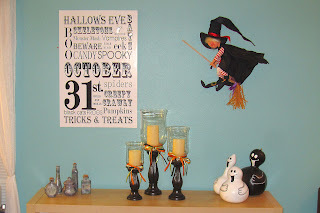 Wee Gems Designs: Halloween "Mantle"
I have wanted a fireplace mantle for years and this year, after rearranging furniture, yes I rearranged furniture again, I still don't have a mantle, but I do have a place to decorate, and I couldn't be more thrilled! 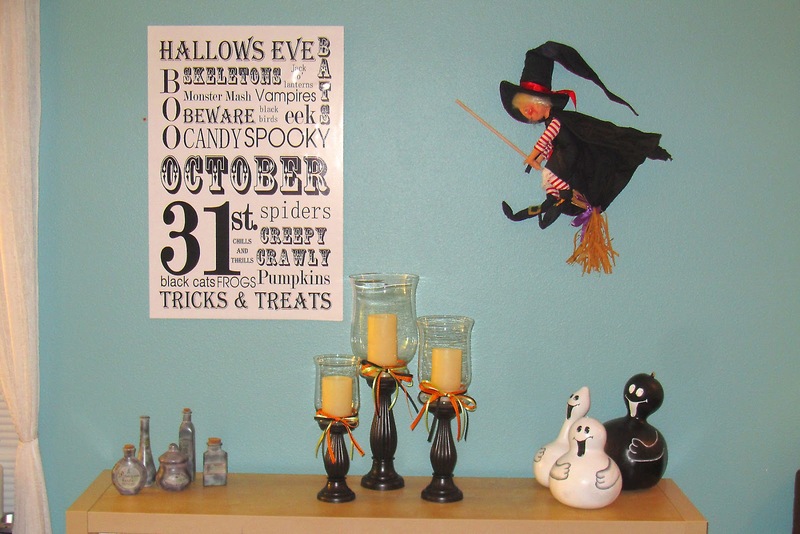 I found a great Halloween subway art free printable online at The Crafted Sparrow. Of course I also have loved searching for fun things on Pintrest, and put my own spin on a couple of those projects as well. So what do you think?